Source: UNOCHA. Key figures from Yemen. In his last briefing to the Security Council Mr. Ould Cheikh Ahmed cautioned that a “destructive pattern of zero-sum politics” has continued to plunge Yemen into ever deeper poverty and destruction, emphasizing that while the UN and the wider international community can try to bring about a favourable environment for a path to peace, Yemeni decision-makers must stop the fighting and bloodshed. Source: WFP. 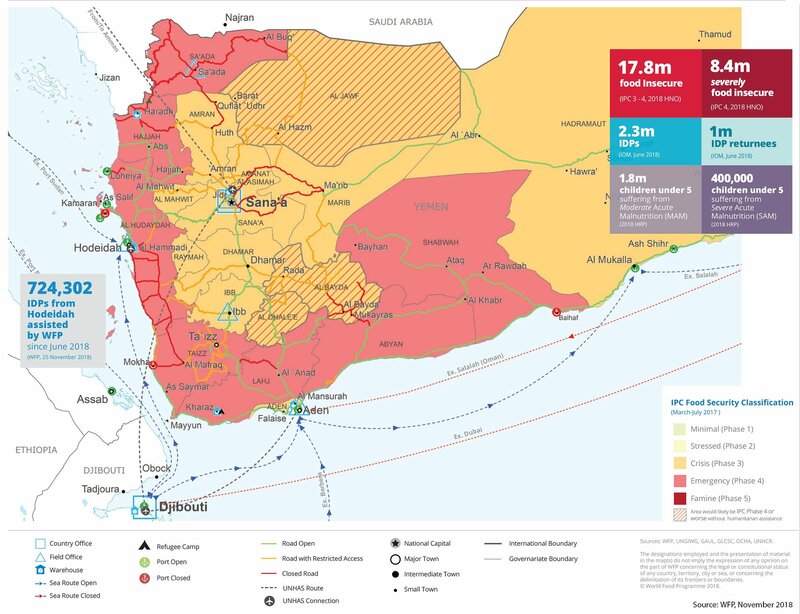 Food insecurity in Yemen.